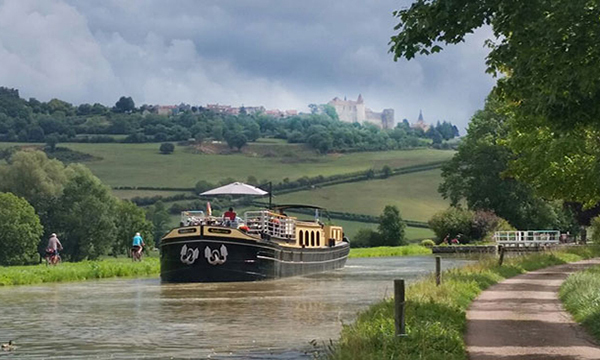 Cruises aboard the barge Grand Victoria appeal to the contemporary adventurer looking to immerse in Southern Burgundy’s many charms, with a focus on lifestyle, culture, and cuisine. Grand Victoria is owned and operated by the charismatic couple Edward Anderson and Cindy Unvericht. Both of them share strong passions for hospitality, cooking, and travel, which is evident in the extraordinary experience aboard the Grand Victoria. Hailing from South Africa and working for many years as a luxury safari guide, Edward also developed his adventurous side as an avid golfer and a record setting sky diver. Cindy is originally from New York, and is an accountant by trade. After many seasons of crewing onboard, they purchased the Grand Victoria in 2015. Styled as the “Queen of Burgundy”, the Grand Victoria’s private and public spaces have been meticulously designed for maximum comfort through approachable luxury. 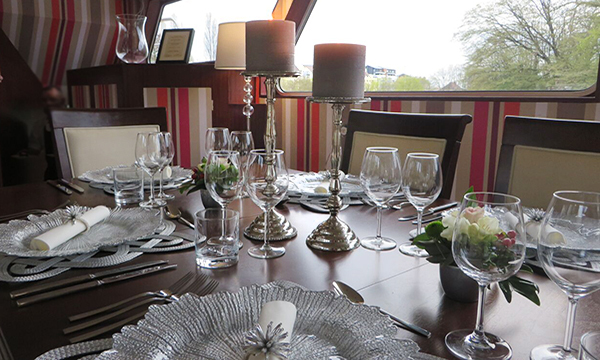 Guests can unwind in the barge’s stylishly appointed salon while listening to music from the boat’s vintage vinyl collection, while foodies and Francophiles are welcome to join the Chef in the open kitchen while he crafts seasonally inspired cuisine. The lavishly decorated cabins feature plush bedding and spa inspired bathrooms, and the flat screen TVs and streaming videos ensure everyone enjoys very personalized entertainment. Sipping a glass of wine while soaking in the hot tub, socializing on the expansive deck, or exploring the canal’s towpath by foot or bicycle further augment the Grand Victoria’s vision of modern indulgences and urbane relaxation. Off the barge, Edward personally introduces guests to the many pleasures of the Burgundian lifestyle, partaking in private winetastings among the famed Cote d’Or vineyards; mingling with locals while shopping for seasonal produce and regional treats at Dijon’s bustling market; and enjoying a lunch ashore at Lameloise, recently voted by discerning gourmands as one of the the world’s best restaurants. Enjoy this exclusive craft cocktail recipe from the Grand Victoria. Cheers! In the afternoon, you will be met by a crew member of the Grand Victoria at the designated meeting point. 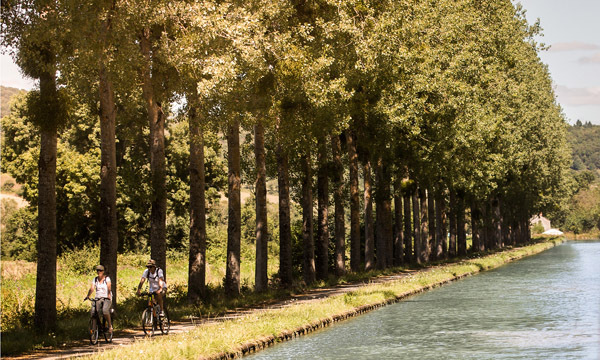 From here, relax as you are chauffeured to the barge, moored in the charming town of Auxonne. A traditional champagne welcome and introduction to the crew awaits you, before your first of many gourmet dinners aboard. After dinner, feel free to enjoy a nightcap while taking a dip in the hot tub. A morning cruise is the perfect time to discover the towpath's flora and fauna with a gentle pedal or leisurely stroll. 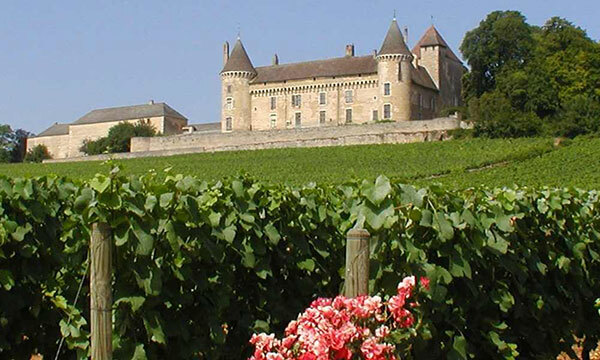 This afternoon, explore Clos de Vougeot, where Cistercian monks made wine in the 12th century. The ancient Clos now serves as the headquarters of the revered wine society Chevaliers du Tastevin, who annually award special labels to the finest Cote d’Or vintages. Enjoy an informal and private tasting at a local winery before returning to Grand Victoria for a gourmet dinner onboard. The town of Dijon offers a pleasurable assault of the senses. 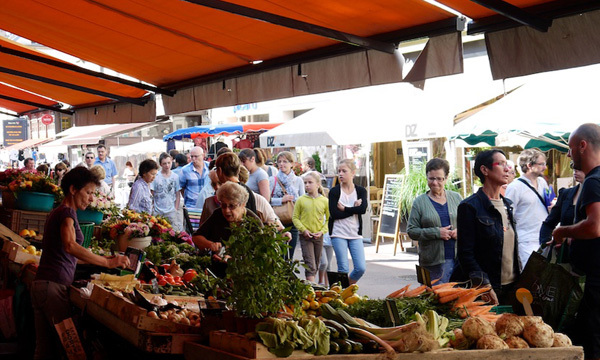 "Les Halles”, the covered food market, presents colorful produce; jars of mustard are displayed in boutiques; and public spaces beckon with greenery and scenery. 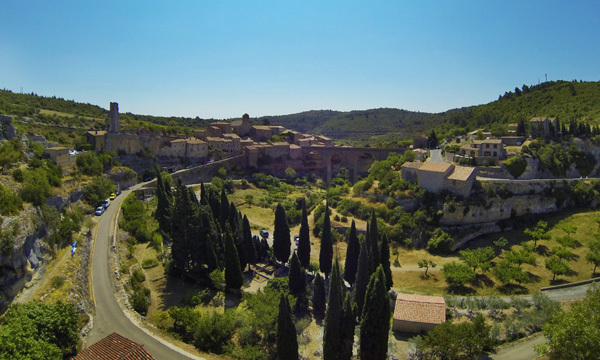 Shop, sip, and stroll through this charming town brimming with authentic French life. After luncheon at a local bistro, enjoy a mustard tasting at the historic Maille Maison Foundee. 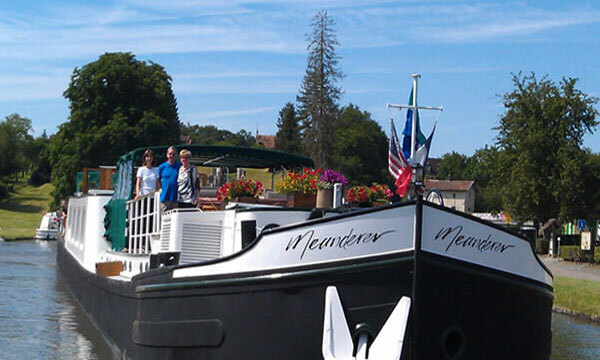 Return to the Grand Victoria for an afternoon cruise on the scenic River Saone. Cocktails and canapes precede tonight's dinner. This morning's cruise provides the perfect opportunity to relax on deck with a cup of coffee and admire the beautiful Burgundian scenery slip by. 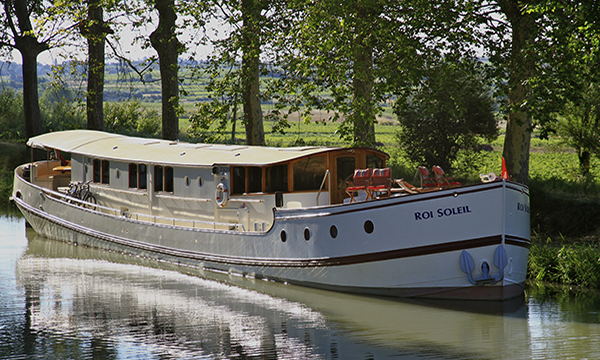 Once moored, your Tour Guide escorts you the the family-owned Chateau de Rully, a 12th century castle overlooking its own vast vineyards. Experience the storied history of this private home, including a sampling of chateau-grown vintages in the property's grand kitchen. Return to Grand Victoria for another epicurean dinner, and enjoy a nighttime stroll into the delightful port of Chalon-sur-Saone. This morning, your Tour Guide escorts you to the charming town of Beaune, the region's wine capital, for a guided visit to the Hospice de Beaune, a preserved Medieval hospital built in the 15th century, and still in use through the 1970s. After luncheon ashore at a Michelin Star bistro, return to the barge for Grand Victoria for an afternoon cruise and sunset dance party! Explore the barge’s selection of vintage vinyl and turn up the volume of all your favorite 45s. Chef gets into the groove as he adds the final touches to tonight's delicious dinner. This morning's cruise is a wonderful time to relax on deck, laze in the hot tub, or explore the towpath with a gentle pedal or leisurely stroll. 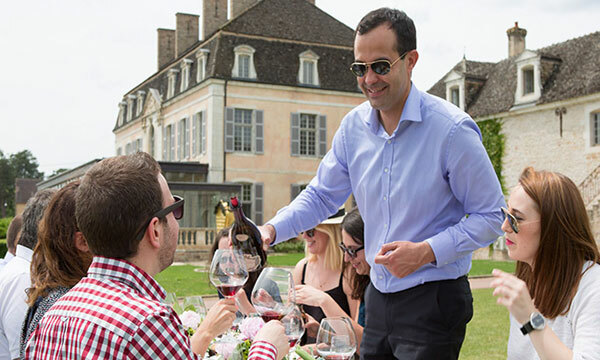 This afternoon, the epicurean delights continue with a tour and tasting at Chateau de Pommard, the largest privately-owned Clos in the Cote d’Or. Return to the Grand Victoria for aperitifs and appetizers, or take walk through the charming town of Chagny. Celebrate your luxurious week in Southern Burgundy at tonight's festive Farewell Feast.